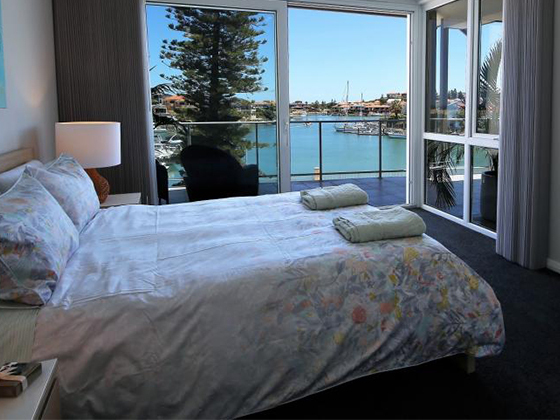 Harbour View is located on the top floor of Boardwalk Apartments at Mindarie Marina. This accommodation has 3 bedrooms 3 bathrooms (2 of which are ensuites) ample living area and also a large balcony with amazing views of Mindarie Marina. Harbour View is located on the top floor of Boardwalk Apartments at Mindarie Marina. This accommodation has 3 bedrooms 3 bathrooms ( 2 of which are ensuites) ample living area and also a large balcony with amazing views of Mindarie Marina.